For craft beer lovers, N Seoul Tower will be the place to visit next week. 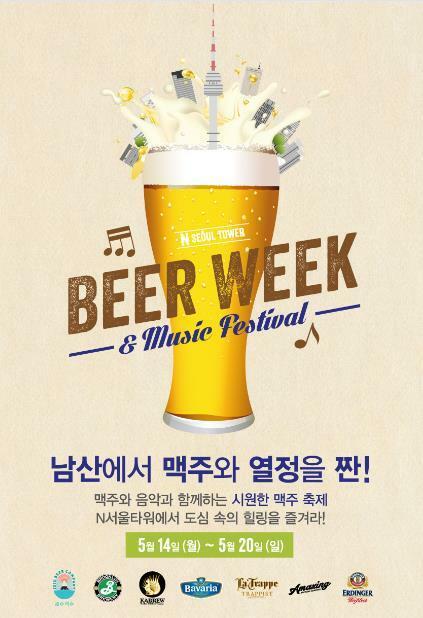 CJ Foodville announced Thursday that it will host the Beer Week & Music Festival at N Seoul Tower on Namsan from May 14 to 20. Beer specialists will hold special classes during the week. Beer tasting programs will also be held in front of the tower starting on May 18, along with indie band performances from 6 p.m. to 10 p.m.
A pairing service to recommend the right beer for your meal will also be provided throughout the week. Visitors can receive the service at either n•GRILL or The Place Dining when ordering from the set menu. 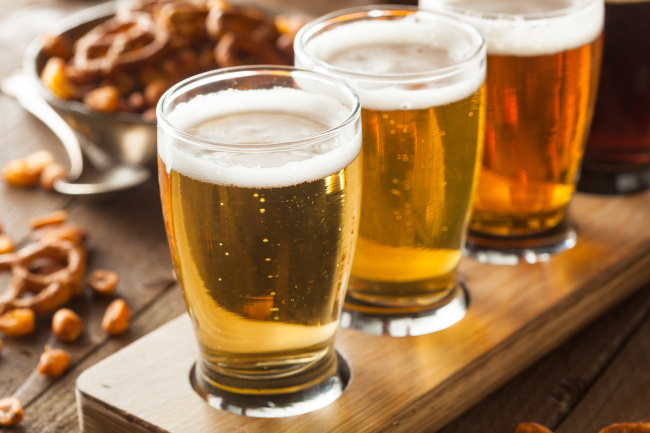 Seven beer brands are set to participate: Jeju Beer, Kabrew, Amazing Brewing Company, Brooklyn Brewery, La Trappe, Bavaria Brewery and Erdinger Weissbier.